A mood board is typically a physical or online board that combines images, colors, and textures to define the style of a project and serve as inspiration. It can also be used as a visual communication tool to get your thoughts and ideas across to others, getting everyone on the same page. Creating a mood board to present to clients or your team allows everyone involved to agree on a direction before too much work is done. Two people may use the same word, for example “clean” or “vibrant” but they may mean something completely different to each person. A visual can help everyone get on the same page. Let’s take a look at some tips on how get the most out of the mood boarding process! Magazine, sketches, the view outside your window–you can use just about anything as inspiration in your mood boards. Just because something is from a different area than your work doesn’t mean you can’t use it to help establish the style of your project. 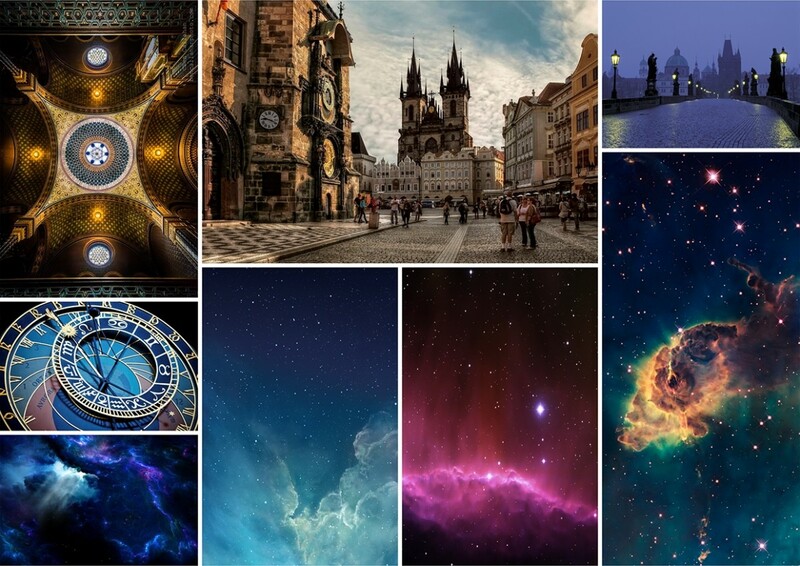 A graphic design mood board example courtesy of Celia. The initial version of our style guide was a lofty moodboard, it talked about how we wanted the app to feel:“intelligent, relevant and useful”, “magical and fun”, “trustworthy and highly-regarded.” It showed some fun directional color schemes as well as laid out much of the groundwork for our overall information architecture and navigation. If you already have a strong idea before the start of your project, it helps to create a few mood boards that pull together research with a single focus. 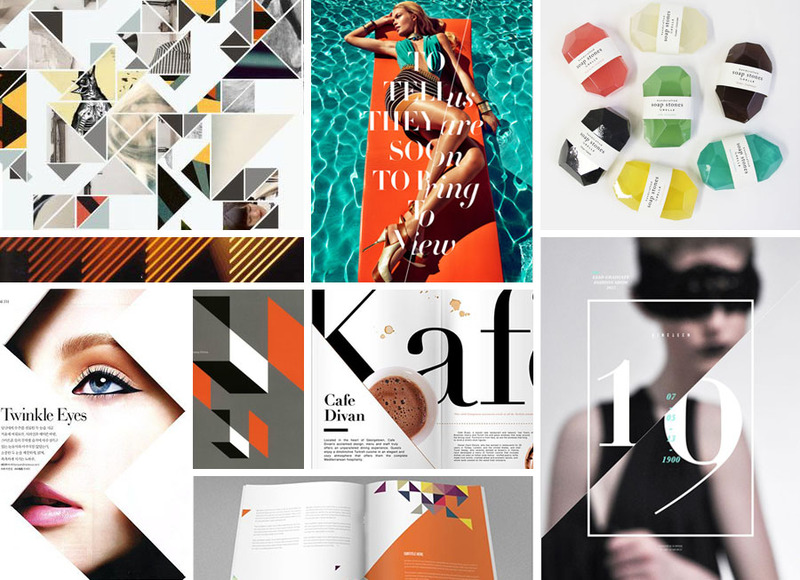 The team at Helium Creative put together an inspiration mood board based solely on angles. 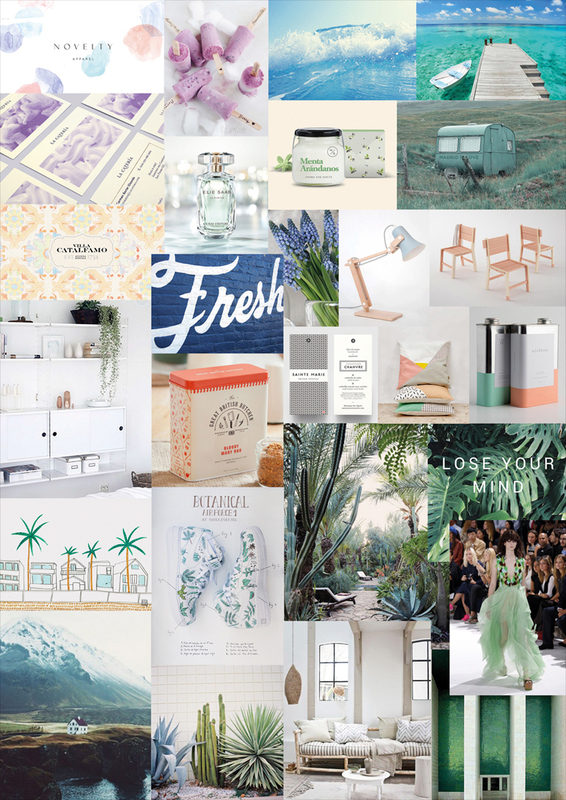 Mood board example courtesy of Helium Creative. Visual communication can be complex. Exploring the connections between ideas visually can be a great way to find new connections and help hone your message. At the beginning stages of a mood board, include anything and everything that you like. 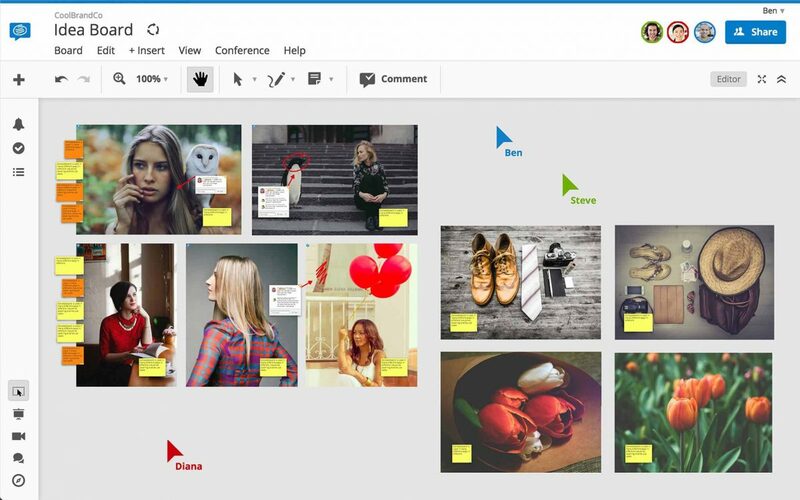 You can refine your mood board and design direction after you’ve added enough content. 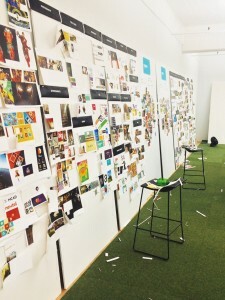 A mood board is meant to be a space where you and whoever else has a stake in the project can get what’s in your heads out on paper, without judgment. 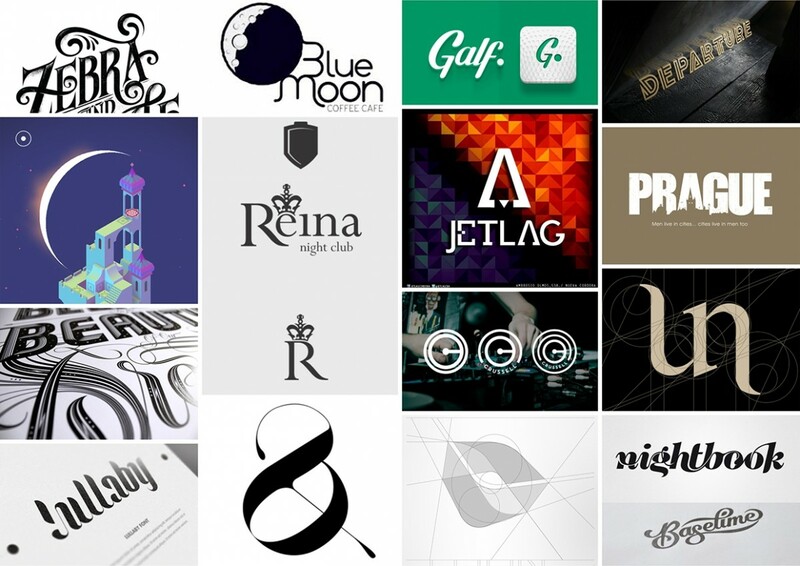 Tomas Moyano‘s project started with the creation of a mood board that analyzed current international design trends. Mood board examples courtesy of Tomas Moyano. 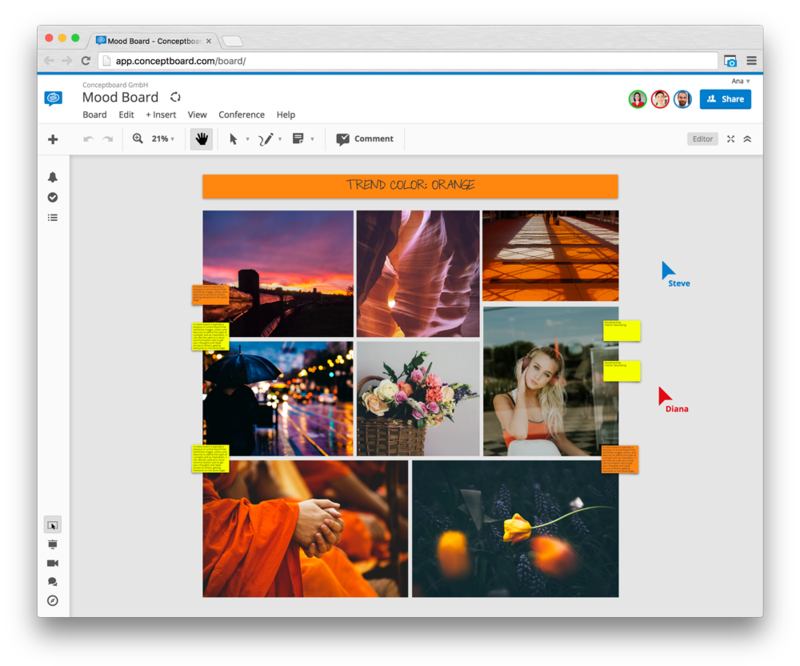 Conceptboard makes it easy for marketers and designers to turn their mood boards into meaningful, visual experiences to be shared with clients and colleagues. The online boards foster collaboration by allowing discussions to happen right on top of the content being discussed. Mood boards are very versatile communication tools. If you’ve never tried creating one as part of your process, give it a go for your next project! Ana Ondreicsik loves tech, science, and art and is the Product Marketing Manager at Conceptboard. When she's not wandering around Europe, you can find her on Google+ and Twitter.